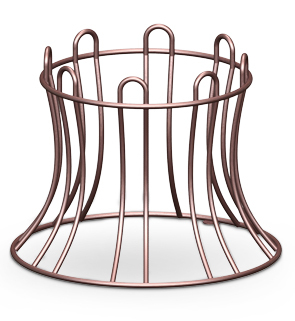 The Breckenridge Series Bike Rack features continuous weld seams that penetrate the metal and ensure a weld that is virtually inseparable and rust deterrent. Protected with 7-15 mils of polyurethane powder-coating in your choice of colors shown below. The unique rounded shape provides an organized place for your visitors to park their bikes and beautifies the community. Solid steel commercial grade construction will provide many years of service. Pre-drilled holes on tabs to mount to a flat surface such as concrete.